Former prime minister Brian Mulroney offered a Senate seat to former Quebec premier — and staunch separatist — Jacques Parizeau. According to the Globe and Mail, that political WTF historical moment was confirmed by both parties in a Radio Canada documentary series about the former prime minister. If Brian Mulroney had had his way, the former Parti Québécois finance minister would have accepted the then Tory prime minister’s 1987 invitation to sit in the upper chamber. Mr. Mulroney was seeking to appoint enough pro-free-trade senators to ensure passage of his signature economic initiative. 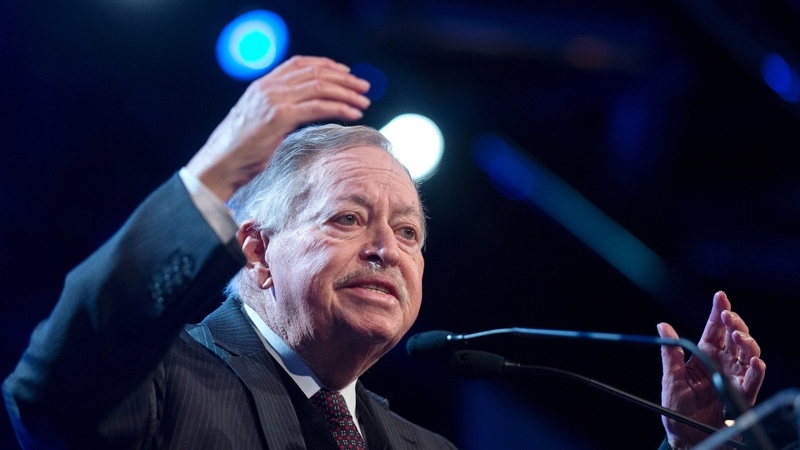 Mr. Parizeau supported the Canada-U.S. trade deal, but his separatist allegiances won out. He said no. The offer — for Parizeau to sit as independent in the Senate — was also part of Mulroney's strategy to attract sovereigntists into the Canadian fold so to speak. Mulroney did the same with Lucien Bouchard. Political pundit Gerry Nicholls says he isn't at all surprised by this story. "A key part of Mulroney’s political strategy, after all, was to pander to and appease Quebec nationalists, such as Parizeau," Nicholls told Yahoo! Canada News. "It was a policy which ultimately helped decimate his party." One year after turning Mulroney's offer down, Parizeau became the leader of the Parti Quebecois and eventually the premier of Quebec who spearheaded the 1995 referendum on sovereignty. In other Parizeau news, it appears that he is against the Parti Quebecois' values charter — introduced earlier this week — that would essentially ban all public employees from wearing overt religious symbols at public institutions. Lisette Lapointe, Parizeau's wife and former PQ MNA, published this tweet, on Thursday evening, in support of former Bloc MP Maria Mourani who was ousted from the BQ caucus for voicing her opposition to the charter. According to the Globe, that translates to: "The `Believe or Die' of the current leader of @BlocQuebecois recalls bad memories. We are with you, courageous Maria Mourani!" Most — in the Twittersphere — are assuming that the "we" in the tweet is referring to her and Parizeau.